Variety is the spice of life, and so our factories have built pressure vessels and storage tanks from 2" to 144" in diameter. 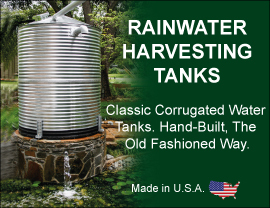 From 2 gallon Water filtration system tanks to Large Stainless Steel Tanks, American Tank Company has the experience needed to help you with you project. We have customized tanks from Vacuum Tanks to 13000psi, and various ASME, DOT, and other government certifications. We also offers extensive experience and capabilities for interior and exterior vessel coating. We can apply a wide variety of paints, primers, and polishing to meet your performance and appearance requirements. We also offer Galvanized and various other pressure tanks sized and certified for your needs! Call toll free today: 1-877-655-5100 to speak to one of our friendly and knowledgeable Custom Pressure Vessel Specialists.